"Look, Mom! This is called a stick. And the leaves and trees behind me are called 'Nature.'" Today was one of the few Saturdays in October where we didn't have anything planned- no birthday parties, no company, no places to be, things to do. 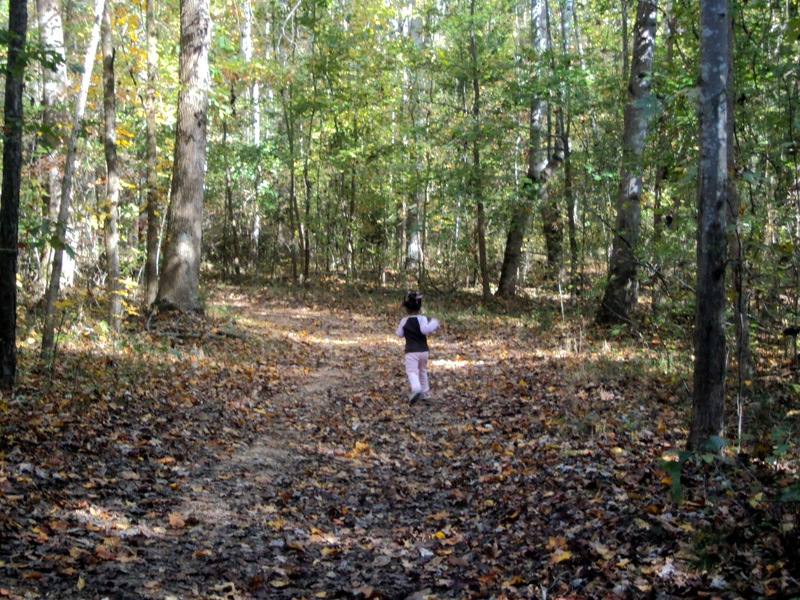 So, we decided to be "spontaneous" (or, as spur-of-the-moment as you can be with a two-year old) and enjoy a crisp, cool, fall day at the Reedy Creek Nature Center. Ted donned his flannel, we packed an eco-friendly lunch (in reusable lunch sacks and reusable water bottles), I grabbed an address to put into Garmin and we were on our way! Once we (finally!) parked, we decided to take the one mile "Dragonfly Pond" path. After a little coaxing, Katy got down and ran free along the path. 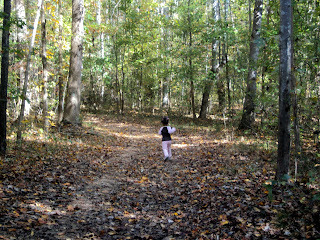 She enjoyed picking up leaves and sticks and not being required to hold a parent's hand. 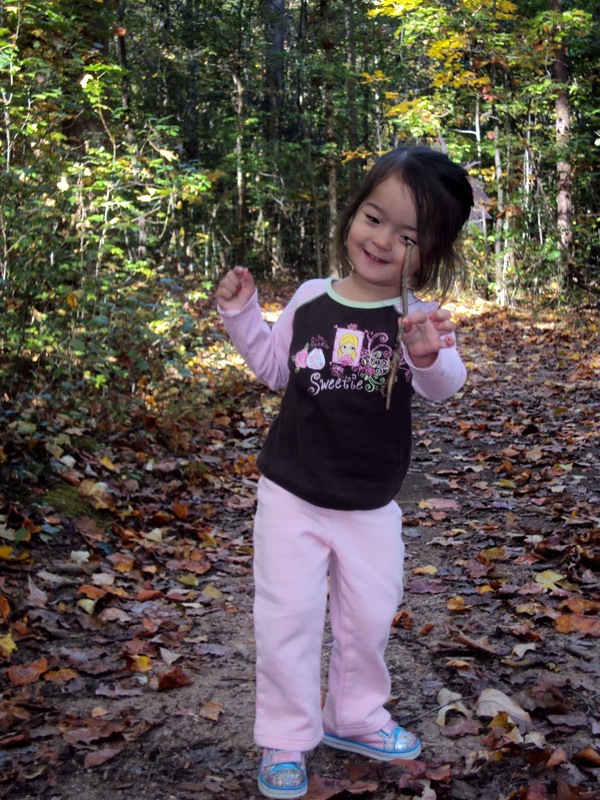 She liked throwing leaves and pebbles into the pond. It took us about an hour to finish the loop (remember, we were walking with a toddler- her path tends to be a bit circuitous and not very direct). 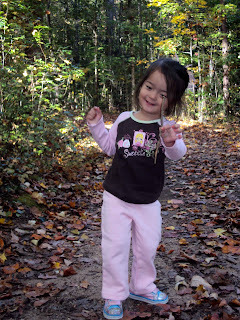 After our walk, we enjoyed the Nature Center where Katy got to explore the exhibits and "Kids Corner." Then, after she tired of that, we found a picnic table and ate our lunch. It was a perfect Fall Day!